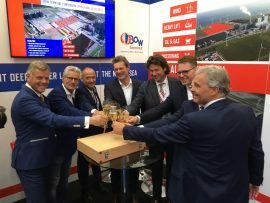 BOW Terminal has signed an agreement with Groningen Seaports to purchase a total of 22ha of land in Eemshaven to build a new offshore wind logistics hub in the northern part of Groningen, the Netherlands. 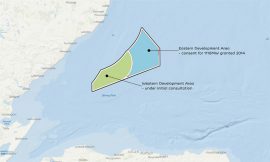 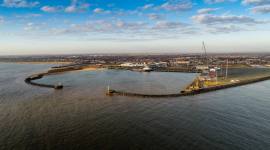 Vattenfall and Peel Ports have agreed to reserve space at Great Yarmouth harbour to site an operations base for the Norfolk Vanguard and Norfolk Boreas offshore wind farms. 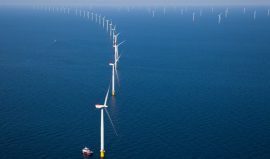 The Gwynt y Môr Offshore Wind Farm Community Fund has awarded the UK charity Conwy Arts Trust with a GBP 47,600 grant for the construction of a cultural centre. 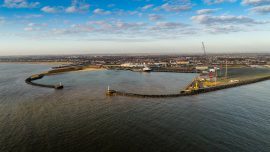 Associated British Ports (ABP) has signed a contract with IMES International to ensure the operational integrity of crane and bulk handling rigging equipment across its four ports in Humber, which will directly service UK’s Round 3 offshore wind farms, including the Dogger Bank, Hornsea and East Anglia projects. 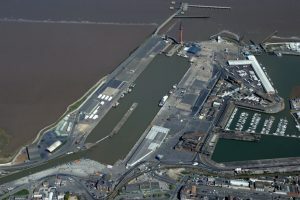 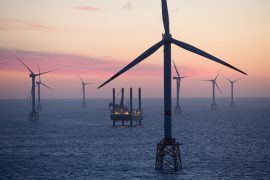 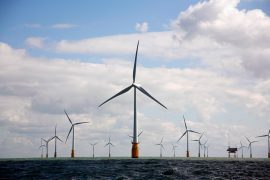 Vattenfall and Peel Ports Great Yarmouth expect to finalise their agreement to locate the Swedish energy group’s offshore wind operations base at the East Anglian facility by summer 2018. 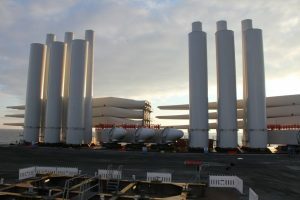 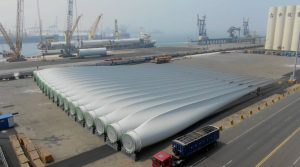 Portsmouth based cargo operator MMD Shipping Services has secured a 10-year agreement with international wind turbine manufacturer MHI Vestas Offshore Wind. 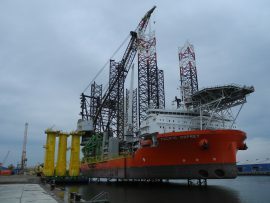 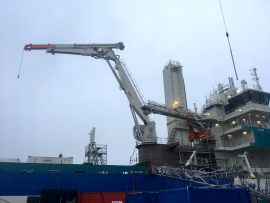 Offshore wind installation vessel Pacific Osprey is loading the first monopiles and transition pieces for the 497MW EnBW Hohe See offshore wind farm at the Port of Vlissingen in the Netherlands. 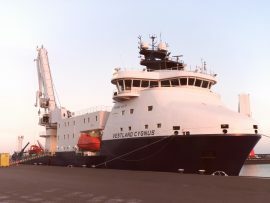 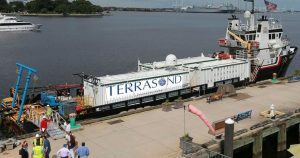 Service operations vessel (SOV) Vestland Cygnus has arrived at DHSS’ new supply base in the Port of Eemshaven, the Netherlands, where it will mobilize for the Merkur offshore wind farm. 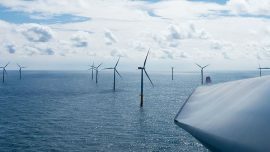 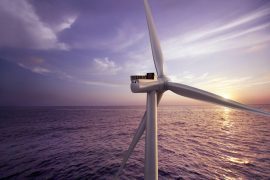 Between October and December 2017, Siemens Gamesa received double the orders for offshore wind turbines compared to the same period of the previous year. 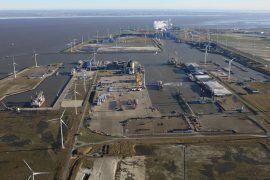 Groningen Seaports has appointed high-tech company VRT Finland to survey 20 kilometers of underwater structures in Delfzijl and Eemshaven ports during inspections starting at the end of January. 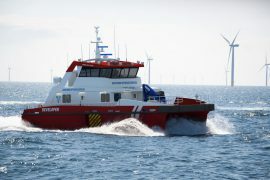 Danish Shipping has called for a common international regulatory framework for small high-speed vessels below 500 gross tons, such as Crew Transfer Vessels (CTVs). 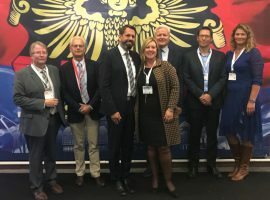 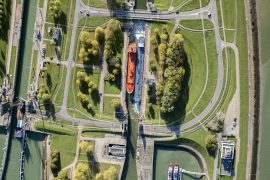 Zeeland Seaports and Ghent Port Company signed a merger agreement on Friday, 8 December, after all eight shareholders of both ports agreed with the merger in recent weeks. 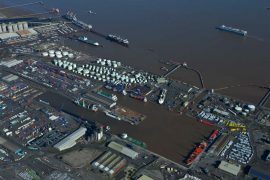 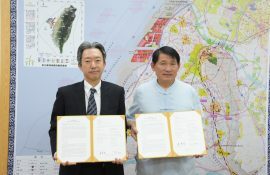 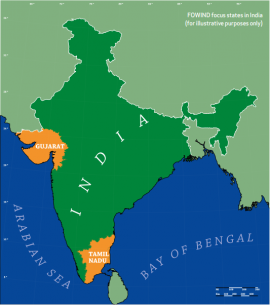 The name of the cross-border merger port will be North Sea Port.